Tools like this have taken a long time to come into focus for me. In the first two decades of my Tarot involvement, I overlooked the Minchiate, Tarock and Piquet packs as simply off-count quasi-Tarots. I'm all about "bone structure", after all, so it was hard for me to see anything but repetition or reductionism, and in either case over-simplification, in those game decks. But finally, over the last decade, I have come to realize that all of these Oracles are keyed to the very same body of knowledge that the Tarot also draws upon, even though each variation enters and exits the paradigm from a different angle. That body of shared knowledge is derived from the science of Astrology -- the Planets, Signs and Elements. Since that realization, I've tried to include these various quasi-Tarots whenever I've seen any indication that they refer to or co-exist within the esoteric canon. Please note what I'm saying here: One pack doesn't have to be exactly like another to be related. What demonstrates the relationship between any two Tarot-like packs is the awareness of the unchanging esoteric paradigm that animates them all. That unchanging esoteric paradigm is, in almost all cases, grounded in Astrology. By studying each pack through its own channels of access to the overall cosmic model, we can get a better understanding of which approach to astrology each pack represents. 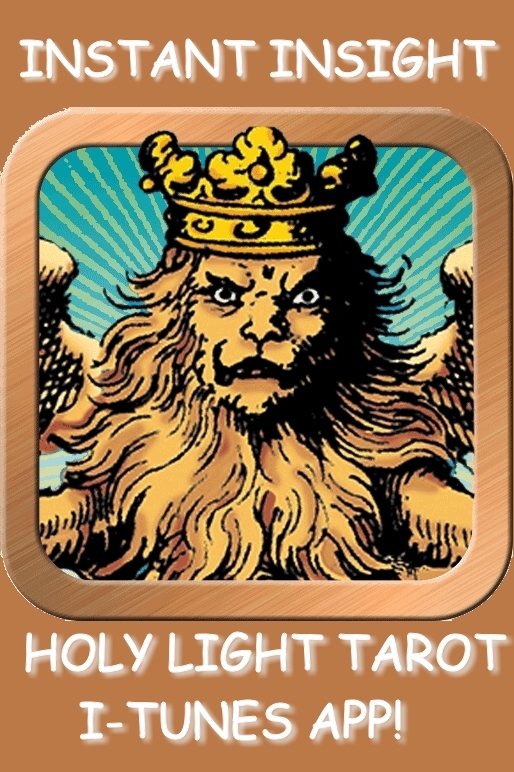 Some may remember January's ArkLetter essay, which was about "Oracle Decks Compatible with the Tarot of the Holy Light Icon" (http://www.tarotarkletters.com/2012/01/newmoon-tarotlogy-january-2012.html). In that article, I compared the Paracelsus Oracle Cards with the 78 Names cards by Orna Ben-Shoshan (which represent the Shem Angel set). I did this to remind readers that both packs represent the same esoteric universe that I've portrayed upon the Tarot of the Holy Light. This time I want to introduce another, related idea first aired in the LWB of the Prager Tarot. 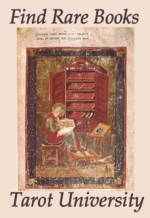 (I first reviewed the Prager Tarot in ArkLetter 31: http://noreah.typepad.com/tarot_arkletters/2007/10/world-server.html). Stuart Kaplan published this adorable little pack in 1980. The Prager Tarot possesses 32 pip cards, similar to Etteilla's Piquet pack, but in this case there are four Royals and four numbers in each suit (Ace, 2, 3, and 4). This just happens to be the very same region where Paracelsus' reputation and metaphysical approach is enshrined in magical, Kabalistic and Alchemical history! Thus I am inclined to imagine that the Prager Tarot, the Paracelsus Oracle and the Petit Etteilla overlap in the area where 32 cards can represent an earthly Ladder of Lights with correspondences just as potent as the Trump set, via the earth-based matrix of Geomantic sigils. If that were indeed happening at the unspoken level of the Petit Etteilla pack, such a substructure could easily provide the divinatory meanings for a Piquet deck. With the elements of the esoteric universe reflected down into the 32-card pips pack, as seen through the condensing lens of geomancy, this little pack of Petit Etteilla cards becomes quite a bit more interesting. Now we know that there's at least one way the geomantic sigils can be associated with the elements, Planets and Signs, such that the full set fills up exactly 32 cards. According to the broad hints being dropped by Kaplan about traditional cartomantic practice in the Czech region, it is not amiss to consider the 8 cards of each elemental suit to be possibly reflecting a subterranean, internal skeletal structure reflecting of these same ancient Element/Sign/Planet rulerships. Bowers points out that are three cards directly attributed to Planets in the Petit Etteilla. These unique, stand-alone cards are the Ace of Spades for Mars, the Ace of Hearts for Venus, and the 9 of Spades reversed for Saturn. These three cards have a very "pure" character, in that they have been left out of the pairing system (described below). As such they don't have to blend with any other influences, therefore they don't move so far away from their upright meaning when reversed. These exceptional cards stand for three main Archetypes of the human psyche: Venus is the force of attraction, Mars is the activator and Doer, and Saturn is the force of limitation, however this might reach us (as illustrated through notes on finances and health). There are also cards for the four Elements: the 7 of Clubs reversed represents The Earth: the 10 of Diamonds represents The Water; the 10 of Spades reversed signifies The Fire; and the Queen of Diamonds represents The Air. We also find two more cards among the suit cards, both sides of which are used to add four Girls to the designated set of 12 Royals. These are the 8 of hearts, the "Blonde Girl" (upright) and "Chestnut Blond Girl" (reversed), and the 8 of Clubs, "Brunette Girl" (upright) and "Chestnut Brunette Girl" (reversed). This set of 16 people-cards allows the reader to expand his/her thinking into the medieval model of body-types, which were thought to reflect psycho-types as well. This was a very familiar astrological teaching that was common in medicine across Europe, elucidating all the so-called constitutional temperaments produced by the four winds, Directions, Elements, and Seasons. All in all, this little pack projects a fascinating and enigmatic mesh of meanings, which only gets richer when the esoteric implications of these design features are followed out! I won't use this article to propose a specific set of references that tie the Geomantic runes of the Paracelsus Oracle Cards together with the Piquet or Tarock pips. However there is nothing preventing a person with an interest in these things from picking up Kaplan's suggestion and running with it. The Petit Etteilla is fully equipped just as it stands to represent the Zodiac (through the 12 Royals), the Elements, and the Planets, just as Kaplan suggests we should expect to see. Again, there might be more than one way one could fit a geomantic meaning system into a set of 32 cards. Hopefully somebody out there has the eyes to see the some method to Etteilla's madness, if it's truly there. I daresay the person who succeeds in clarifying any links that exist between this northern European magical tradition and the Etteilla packs would earn themselves a place in Tarot history! As mentioned before, the Petit Etteilla has the four typical Tarot suits (shown in their playing-card forms), but they are condensed down into half the numbered pips, comprising the Ace and then 7 - 10. This trend of shrinkage also extends to the Royalty; there are only three face cards per suit, as the Knights and Pages fuse to become a single Jack. This allows the Royals to directly assimilate to the Zodiac signs. (We must remember, this being a double-headed pack, that each Royal will also carry a distinct second meaning for the card when it's flipped.) Because the Queen of Diamonds is so strongly tied to the element Air, I would use her as the stable point of reference for the Zodiac, making her the Libra card. Following the notes on their faces, the first thing the Petit Etteilla inclines one to do is pair up the card-matches that are inscribed right under the titles. Set aside the three planetary cards, Ace of Spades, Ace of Hearts, and 9 of Spades. These cards lack card numbers; therefore they can't participate in the pattern that governs the rest of the cards. Carte Blanche, King of Diamonds, Queen of Diamonds, Jack of Diamonds, Ace of Diamonds, 10, 9, 8, 7. Then Jack of Hearts, Queen of Hearts, King of Hearts, and the 10, 9, 8. This completes the first line, comprising half of the pack. The rest of the cards will form a second row directly below the first, running in the opposite direction from the first row, and heading back towards card #1. These appear in this order: 7 of Hearts, King of Spades, Queen of Spades, Jack of Spades, 10, 8 and 7, then King of Clubs, Queen of Clubs, Jack of Clubs, 10, 9, 8, 7. Laid out in this way, the whole suite of cards then discloses their secret, which is that every above-and-below pair of cards in this double line adds up to the number 31. In other words, one ordering principle in the Petit Etteilla is that it contains 15 pairs of reciprocals, which are to be watched for whenever the cards are dealt in a spread. Eric Bowers affirms what others have seen before this translation -- that the unique meanings found at both head and foot of the Petit Etteilla provide the seeds of meaning for the full set of suited cards making up the pips of his 78-card Book of Thoth Tarot. Only the three Planet cards have meanings at both ends that are directly related to each other. All of the other cards in the Petit Etteilla have distinctly different meanings on the reversed side of the card than on the upright card. It can be difficult to understand just why these two meanings were paired together on the same card, but that is a mystery that is still to be unraveled. In the meantime, it is necessary to observe scrupulous card-handling technique when laying this pack out. Regarding the 78-card pack, reversed meanings will often represent the upright meaning taken to an unbalanced extreme. Reversal will point to the symptoms of lack or excess, enervation or intensity, but the symptoms of reversal are directly related to the realm defined by the upright meaning. This is most emphatically not true in the case of these foreshortened packs, where a wide spectrum of meanings have to be condensed into a small number of moving parts. As we are noticing, the Petit Etteilla offers a significant revelation about the number of systems that can be interwoven and evoked via manipulation of such a small pack of playing cards. Because of this, Bowers in his explanatory video rightly emphasizes the importance of consistent shuffling technique and careful handling at the point when the cards are removed from the deck to be placed into the spread. This is essential to using the Petite Etteilla as an oracle. Failure to take into account the two-sided nature of each card will ensure that the reader will mangle the intended meanings of the reading! 1) There 12 official positions to lay out in the formal reading designed for this deck. This is very like the 12 Houses of the traditional astrological chart, which itself leads directly to the Ladder of Lights design that links Piquet to Astrology. Making this connection unleashes a huge and wonderful set of relations right away, especially if you deal the cards out in a six-sided lozenge instead a straight line. When using the hexagon shape, designate two signs per side, starting with the Aries/Taurus pair. These become the six faces of the sexugesimal grid of astrology (the Wheel around the Heart in the Cabbala Tree, the two-sign sides of the Flower of Life). You can also superimpose the teaching about the six directions of time and space that emanate from the Cube of Space. All of this is inherent in the symbolism of the number 12. Deal the cards out in a circle starting from the left horizon (the 9:00 position on a clock face). Proceed counterclockwise, just as you find the signs arranged in a standard Astrology text. Assume that the 12 cards represent twelve "departments of life", which is a standard astrological assumption. When taken in their pairs, these cards express stability in the six planes or directions they define. These show what I would call the "givens" of the spread. There are two "extra" cards dealt as #13 and #14, and these are kept in their own little world until later in the spread. They flock around the 12th card, in the "realm of the invisibles". Etteilla calls them "surprise" cards. The rule is, if the Carte Blanche card falls anywhere, it will immediately stimulate the special meaning noted on the card it is paired with. Having a wild card circulating like this automatically doubles the possible meanings in the pack, above and beyond the issue of reversals. This "Etteilla Card" is a cartomantic innovation that he carried over into his 78-card packs as well. Notice that the Carte Blanche has a characteristic that isn't present in any of the other cards. On its surface, this card is labeled to refer to the reader or questioner. When it appears in a spread, it activates or potentizes whatever card it is interpreted with. In that sense, it focuses on the "world of the spread" and the cards that it can catalyze. But at the same time, the Carte Blanche has a second octave of meaning that points entirely outside the reading, away from any of the cards that have appeared on the table. I this sense it is read as suggesting that "somebody is concerned about you; people are worried". This gives us the sense that the Carte Blanche is a risk-taking, rule-breaking indicator when it comes up. We need to analyze it closely whenever it appears, so we can take into account the force of other people's opinions and judgments. Among other meanings, the Carte Blanche registers the concerns that arise when somebody is about to step beyond traditional roles and reactions. The social organism of collective humanity is inherently conservative, so perhaps we need a card like the Carte Blanche to remind us to individuate and rise above the herd mentality. The Carte Blanche signifies permission to color outside the lines, even as it registers the protest that concerned friends and family might make in the face of our individuation. 2) First study the "even" pairs -- 1&2, 3&4, 5&6, and etcetera. You are looking for the possible relationships going on within the pairs. Look for the numerical pairings that add up to 31, and also note affinities by suit, by psychological temperament (personal coloration), or by repetition (multiples of the same rank, like 3 Queens or 4 8's). Several of these types of relations have a fixed significance, which one sees noted in the side-panels of the cards. However it is good to bring one's intuition to bear upon these pairings as well, since as we have seen, there are potentially multiple layers of meaning to be unearthed here. [3) Now study the "odd" pairs -- 2&3, 4&5, 6&7, etc. If you have laid out a hexagon, these pairs span the "points" on six-sided the Flower of Life. My imagination immediately assumed that these pairs give us insight about problem solving, as in "getting around life's corners". 7) Tracing any interactive dynamics with the "surprise" cards and/or the Carte Blanche. After this point all formal rules have been satisfied and the reader can "free lance" among the cards however they make sense in the moment. Happy Holidays and New Year to All! May your dearest prayers and most heartfelt wishes come true, and may we find ourselves in 2013 blessed with enhanced understanding and empathy.